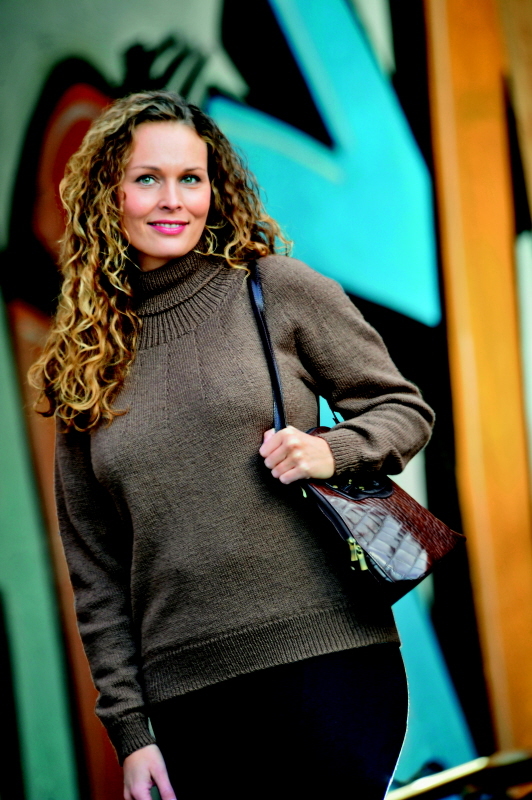 Sweater in Sandnes Sisu, low or roll neck. Men. This pattern is for a man’s sweater. The pattern is available in childrens’ and ladies sizes too. Width: (92) 102 (111) 120 (129) 138 cm. Sisu (500) 500 (550) 550 (600) 650 g + 50 g for roll neck. Circular needle and double pointed needles 2½ mm and 3 mm.